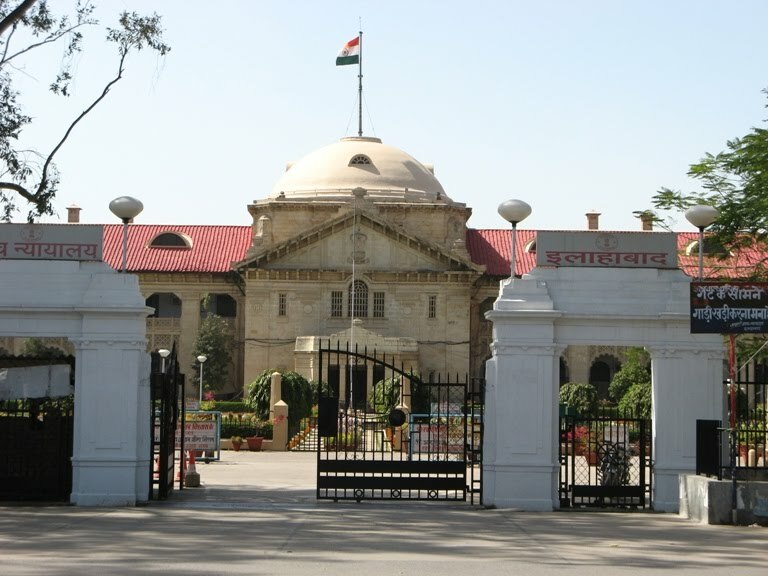 The verdict of the Allahabad High Court in the Ayodhya case has been criticised for making faith and belief the basis of its judgment, but this is not the first time that a supposedly secular court has ruled on the basis of faith and belief. Indeed, such instances are inevitable given India’s peculiar definition of secularism. Reactions to the Allahabad High Court verdict in the Babri Masjid case have varied widely, from triumphalism from some actors, through appeals for calm and hopes of reconciliation from others, to expressions of disappointment and dismay from yet others. This is partly a consequence of the complex character of the split verdict. On the issue of whether a Hindu temple had been destroyed in order to build the Babri Masjid in 1528, S.U. Khan, in a minority opinion, said that it was built on the ruins of a temple, but nothing was destroyed, while Justice D.V. Sharma and Justice S. Agarwal held that a Ram temple had been destroyed in order to build the mosque. On the issue of whether it was the Ram Janmabhoomi, Justice Sharma, in a minority judgment, ruled that the site was the birthplace of Lord Ram, and therefore the entire property should go to the Hindu litigants. 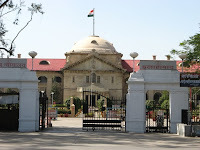 The majority judgment of Justice Agarwal and Justice Khan stated that Hindus believed it was the birthplace of Ram, and divided the property three ways, giving one-third to the Sunni Waqf Board and two-thirds to Hindu litigants. The status quo was to be maintained for three months, during which the parties were free to appeal the judgment in the Supreme Court (Allahabad High Court 2010). It is entirely possible that the majority judgment was framed in the fear that giving outright possession to either Hindu or Muslim parties to the dispute could result in riots and bloodshed, while division of the property could lead to reconciliation. But good intentions alone cannot ensure a good judgment. For example, one of the Hindu litigants, to whom the area under the dome of the mosque was awarded, was Ram Lalla (Baby Ram), whose statue had surreptitiously and illegally been placed there in the night of 22-23 December 1949, after which the mosque was kept locked. But the title suit of the Waqf Board was deemed to be barred by the Statute of Limitation, despite the fact that it filed a suit claiming the mosque in 1961, within the statutory period of twelve years. What could the legal rationale for either of these decisions possibly be? The Archaeological Survey of India (ASI) concluded that a temple had existed at the site of the Babri Masjid, but professional archaeologists like Shereen Ratnagar, who also gave evidence before the court, concluded that claims about the existence of a temple were not credible (Mandal and Ratnagar 2007). Other professional archeologists who were observers of the excavation, like Supriya Verma of Jawaharlal Nehru University and Jaya Menon of Aligarh Muslim University, also felt there were doubts about the credibility of the ASI report, while D.N.Jha, history professor at Delhi University, alleged that the court had not taken the historical evidence into account (Jebaraj 2010). Even if a temple had existed at the site, was it demolished or had it fallen into ruin long before the mosque was constructed? On this point, even the judges of the Allahabad High Court did not agree. The lack of any documentary evidence of the destruction of a temple is striking. As Ram Puniyani points out, Goswami Tulsi Das, who wrote the story of Lord Ram in the popular Awadhi language, would have been around thirty years old when the mosque was built in 1528, and surely would have mentioned any demolition in his writings had it actually occurred. Indian politicians have correctly rejected as undemocratic a definition which requires the prohibition of all expressions of religious faith, since that would violate freedom of conscience, expression and association. But they have adopted the equally untenable definition of secularism as ‘Sarva Dharma Samabhav’ (all religions are equal). The fatal flaw in this definition is its assumption that each religion is monolithic, whereas in reality there are irreconcilable contradictions within each religion: women’s rights activists versus patriarchs and misogynists, gay rights activists versus homophobes, social justice activists versus apologists for social inequality and oppression, non-violent pacifists versus those who justify cruelty and murder. What often happens is that it is the reactionary section that is seen to represent the whole community. The year 1986 provides a graphic illustration of how this definition works in practice. That was the year in which the government opened the locks of the Babri Masjid and allowed Hindus to worship inside it in order to appease Hindu extremists. This provided sufficient fuel to the Ram temple movement for it to build up momentum for the demolition of the mosque in 1992, accompanied by the slaughter of thousands of Muslims. In the same year, following massive protests against the Shah Bano judgment of 1985 by Muslim fundamentalists, the government passed the Muslim Women (Protection of Rights on Divorce) Act, which put Muslim women outside the purview of Section 125 of the Criminal Procedure Code. The most negative consequence was not the loss of the pathetic sum granted to Shah Bano by the court, but the insistence of the Muslim Personal Law Board and others that faith takes precedence over the law, and that Muslims shall not be equal before the law nor get equal protection of the law. Muslim voices against the bill, especially those of women, were drowned out and ignored. The parties that campaigned for this legislation cannot, therefore, appeal against the Ayodhya judgment with any degree of logic or consistency, since it has given them exactly what they demanded at that time. The Allahabad High Court judgment in the Ayodhya case is in the same tradition. It assumes that ‘Hindus’ in general believe the spot under the dome of the Babri Masjid was the birthplace of Ram, but this is simply not true. What about those Hindus who believe that Ram was born not in Ayodhya but in the village of Gharram near Patiala, in the palace of his maternal grandfather, since it was customary for a woman to return to her parental home to deliver her first child? What about Hindus like Swami Agnivesh, who in an interview said that he believed Ram was born in Ayodhya but not at that particular spot? There are many other temples in Ayodhya that are claimed to be the birthplace of Ram. Furthermore, Swami Agnivesh added that he believed Ram was a man, not a god, and God is something quite different. Indeed, millions of Hindus believe that the ‘Lord does not reside in temples, structures or forms of deities’ (TheBigThinkg 2010). Similarly, the judgment assumes that all ‘Hindus’ believe a Ram temple was demolished in order to build a mosque, and that therefore a Ram temple ought to be built in place of the demolished mosque, but this, too, is not true. The lack of any documentary evidence of the destruction of a temple in the writings of contemporary Hindus is striking. As Ram Puniyani (2010) points out, Goswami Tulsi Das, who wrote the story of Lord Ram in the popular Awadhi language, would have been around thirty years old when the mosque was built in 1528, and surely would have mentioned any demolition in his writings had it actually occurred, yet there is no such mention. It was ‘only the Sangh Parivar which initiated and propagated this notion for mobilization of Hindus for its political objective’ (Teltumbde 2010). Far from wishing to build a Ram temple at that particular spot, many Hindu believers were distraught when the mosque was demolished and Muslims were massacred by participants in the Ram temple movement. The belief that Lord Ram was born under the central dome of the Babri Masjid and therefore a Ram temple should be built there was promoted assiduously only by an extremist section of Hindus, who sought to pursue their agenda by bloodshed and terror. To equate this section with all Hindus is as grotesque as equating the Taliban with all Muslims or the Ku Klux Klan with all Christians. Yet such equations are unavoidable if a definition of secularism which homogenises adherents of each religion is accepted. The High Court judgment rewarded the criminals who placed the Ram Lalla statue under the dome illegally in 1949 and destroyed the mosque in 1992 by giving them the property they had stolen, thus undermining the rule of law. But these were no ordinary, trivial thefts. They were part and parcel of a larger agenda to annul India’s democratic constitution and turn India into a Hindu Rashtra, by actors who made no secret of their admiration for Hitler and especially the way in which he had dealt with minorities. As such, it has to be seen in the context of the other landmarks on this journey, such as the assassination of Mahatma Gandhi in 1948, and periodic progroms against Muslims and Christians reaching two peaks, one in 1992-93 at the culmination of L.K.Advani’s bloodstained Rath Yatra, and the other in 2002 in Gujarat. What emerged after the genocidal violence in Gujarat – the laboratory of Hindutva – after 2002 is as important as the arson, gang-rapes, and mass murder: the fascist transformation of the state and society, which is still evident in Gujarat today. Beginning in the 21st century, a new Hindutva strategy emerged: carrying out terrorist attacks, often on Muslim targets, and then blaming innocent Muslims for them. These unfortunates were arrested and tortured, their families torn apart, their health, reputation and job prospects ruined, before they were finally released for lack of evidence. Moreover, the whole community came to be branded as ‘terrorist’: a truly ingenious and diabolical way of killing several birds with the same stone, so to speak. This was the modus operandi in the Thane, Vashi, Parbhani, Jalna, Purna, Malegaon, Modasa, Goa, Hyderabad, Ajmer, Samjhauta Express and possibly other terrorist attacks (Gatade 2010). One of the most disturbing findings in these cases is the extensive involvement or complicity of personnel in state institutions. While the rath-yatra-communal-pogrom strategy is an overt assault on secularism and democracy, this infiltration of the state apparatus and assault from within is arguably even more dangerous. When the government finally took cognisance of this menace, there were howls of protest from the Sangh Parivar, including assertions that Hindus cannot be terrorists and terrorists have no religion. Both propositions are patently false. When Maharashtra Anti-Terrorist Squad Chief Hemant Karkare unearthed incontrovertible evidence that saffron-clad Sadhvi Pragya Singh Thakur and Swami Dayanand Pandey had played key roles in the Malegaon terrorist attack of 2008, he was proving precisely that Hindus could be terrorists (Sify News 2008). And a quick glance through history and around the world shows that adherents of any religion and none can become terrorists if their interpretation of their own religion or political philosophy justifies such acts. Building a Ram temple on the very spot where a mosque had been demolished carries a powerful symbolic value in this context, connoting the crushing of a minority community in order to establish the absolute dominance of Hindutva. The real issue is whether Muslims in India are equal before the law and have equal protection of the law, as the constitution guarantees, or not. The choice is not between masjid and mandir, but between democracy and a fascist Hindu Rashtra. Justice Sharma’s judgment can be seen as a full endorsement of the Hindutva agenda, but the majority judgment is more complex. Its intention, perhaps, was to appease the Hindu extremists and avert a repeat of the ghastly violence of 1992-93 by giving Hindus two-thirds of the land, while simultaneously pacifying the Muslim litigants by giving them one-third of their property. But it is a dangerous mistake to think that extremists can be appeased by giving them what they want. The lesson to be learned from what happened between 1986 and 1992 is that appeasement only encouraged the Sangh Parivar to engage in more violence. There are already indications that the High Court verdict is having the same effect, with demands by the VHP that the entire plot should be given to the Ram Janmabhoomi Nyas so that they can build a grand Ram temple there (Parashar 2010). If this judgment were to be the final word on the subject, it is possible that the fuel it provides to the stalled Ram temple agenda could plunge the country into bloodshed again. It is therefore fortunate that appeals to the Supreme Court against it are being planned. Religion and Politics: Towards a More Progressive Union? The Supreme Court judgment of 1994 stated that the demolition of the Babri Masjid was ‘an act of “national shame”. What was demolished was not merely an ancient structure, but the faith of the minorities in the sense of justice and fairplay of the majority. It shook their faith in the rule of law and constitutional processes’ (Andhyarujina 2010). We therefore have reason to hope that the Supreme Court, unlike the Allahabad High Court, will restore faith in the rule of law and the Indian constitution. Restoration of the status quo ante prior to December 1949, when Muslims worshipped in the masjid while Hindus worshipped in the outer courtyard, could perhaps serve the purposes of both justice and reconciliation. It is not a foregone conclusion that a verdict in favour of the Sunni Waqf Board would have resulted in a bloodbath. Compared with the shameful complicity with Hindutva forces of the state government of UP and paralysis of the state government of Maharashtra and the Centre in 1992, there was far greater preparedness to quell any violence in 2010. Equally importantly, there is more opposition to the Hindutva agenda in civil society, partly as a result of the tireless efforts of anti-communal activists. For example, on 23 September a dharna was called in Bombay by the New Trade Union Initiative and others, and the speakers called on workers to organise in their workplaces and neighbourhoods in order to safeguard peace and communal harmony when the verdict was announced. There are also ongoing attempts to bring the perpetrators of the crimes of 1992-93 and 2002 to justice. Despite all this, however, there was palpable dread, especially among Muslims, during the build-up to the High Court verdict, and no one can guarantee freedom from communal violence in the future. What more can be done to ensure peace and communal harmony? It is worth looking at the answer to this question provided by Lata Mani, a feminist and socialist who is also a Hindu believer. In her book SacredSecular (2009), she draws a clear line between fundamentalism or extremism of all types (including Hindutva) and genuine spiritual practice, characterising the former as ‘centrifugal’ and the latter as ‘centripetal’: ‘Where the latter encourages the divinisation of humanness and the sacralisation of all activity, the former is explicitly concerned with self-aggrandisement, with fortifying the ego. It is no wonder then that greed, hate, violence and untruth abound in Right-wing rhetoric and action while authentic spiritual qualities of love, compassion and dispassion are conspicuously absent’ (p.12). She sees herself as part of the ‘small, faith-based Hindu voice within and outside of the religious establishment which has sought to challenge the credibility and authenticity of Hindutva. Its strategy has been to unravel the lies of Hindutva while stressing the essential teachings of love, peace, unity and dharmic living that are inherent in Hinduism as in all other wisdom traditions’ (pp.125-126). There is an implied self-criticism in her admission that ‘It is time for those who live and move in faith to be more outspoken in expressing faith-based anti-communal perspectives… For, as we have seen, the danger to Hinduism, if ever there was one, comes not from without but from within’ (p.94). However, she also criticises the Left in India for its understanding of secularism as the negation of religion, and an attitude to people of faith that is patronising at best, suspicious or hostile at worst. Such a view fails to understand that science cannot answer questions like: Why should I not kill and rob someone if I can get away with it? Why should I stand in solidarity with those who are oppressed? Nor does it acknowledge that both secular and religious ethical systems and moral philosophies (Kant’s categorical imperative as much as the Buddha’s precepts or Jesus’s parable of the good Samaritan) are founded on principles that are outside the realm of science, yet equally valid. ‘The Marxist premise that religion is a distortion of reality has led to a distorted view of religion,’ she comments (p.21). ‘The problem with the Swayamsevak Sangh, Vishwa Hindu Parishad and Bajrang Dal is not that they are religious. The problem with these organisations is that they are fascist. Religion is no more inherently conservative or fascist than secular philosophy is, by definition, liberatory. Many contemporary forms of organised violence and discrimination have a secular basis’ (p.123). Mani points out that ‘Contemporary discussions all too often pose the secular and the spiritual as diametrically opposed perspectives with little in common, either in substance or objectives,’ and questions ‘this assumption by examining alongside one another the beliefs that ground progressive secular activism with those that shape the spiritual journey’ (Mani 2009, 143-144). She notes, ‘Equality, inclusivity, interdependence: all three are central to both progressive secular activism and centripetal spiritual philosophy…The spiritual idea that our true nature is expansive and loving parallels the secular notion of one’s “humanity”’ (pp.148, 150). In other words, ‘the dividing line is not between sacred and secular frameworks so much as between philosophies that seek to tear asunder and separate, versus those that seek to heal and unite’ (p.144). This analysis suggests a way forward for secular activism that avoids the appeasement of reactionaries inherent in the sarva dharma samabhav definition of secularism as well as the exclusivism inherent in defining secularism as the negation of religion. Both definitions make the mistake of lumping all believers together and ignoring irreconcileable differences within each religion between reactionaries and extremists on one side, liberals and progressives on the other. In the process, both ignore the very existence of Hindus who believe that ‘This country, today, does NOT require temples for Ram or idols of Ram. It requires everyone of us to be a Ram, perfect law abiding citizen. The best solution for the Ayodhya dispute is to remove the idols of Ram and Sita which have been placed inside the Babri Masjid structure against all Agama Sastras, by people drunk with Abhimana and Ahamkara (such people are called hoodlums/thugs) and let our Muslim brothers to decide what they want to do with that structure’ (TheBigThinkg 2010). These flawed definitions of secularism urgently need to be replaced by one that defines it as non-discrimination between persons on the grounds of their religion, and a state that does not interfere in religious matters unless it becomes necessary to do so in order to protect the fundamental human and democratic rights of its citizens. In other words, people of all communities would be free to practice their own religion in their own way so long as they did not infringe on anyone’s fundamental rights. Matters of faith would be excluded from the purview of the law, as it should be in a secular state. It should be clear that this definition of secularism, and the gender-just, secular family laws that would be part of it, would be perfectly compatible with liberal and progressive interpretations of all religions. Only those who espouse reactionary and extremist interpretations of their religion – for example, sexist, casteist or communal interpretations – would have problems with this definition. Defining secularism as the belief that all human beings are entitled to equal respect and consideration, equality before the law and equal protection of the law, equal rights and opportunities, would result in including millions of humane and progressive people of faith under the banner of secularism. This in turn would marginalise extremists and strengthen secular activism to a point where it could ensure peace and communal harmony under all circumstances. * Rohini Hensman is a researcher and writer active in the women’s liberation, trade union, human rights and anti-war movements in India and Sri Lanka. Her book of fiction, Playing Lions and Tigers, follows the intertwined lives of fourteen characters from different parts of Sri Lanka, different social classes, different ethnic and religious communities, all confronting the challenges of their country’s post-colonial conditions: poverty and religious conflict. Inhabiting the lives of her characters, Rohini looks at the personal dramas of peaceful citizens turned into violent enemies by the manipulations of authoritarian and criminal government.